Tinospora cordifolia, which is also known as guduchi or giloy, is an herbaceous vine that is a member of the Menispermaceae family. The plant is a deciduous, glabrous, large, and extensively spreading shrub that has elongated twining branches. The shrub grows aerial roots, usually on mango and neem trees, which could reach to lengths of thirty meters. The shrub has heart shaped leaves and its yellow flowers are long-stalked and axillary racemes. The shrub bears flowers in June, while it bears fruit in November. Vernacular names used include: gllow (Punjabi), tippa-teega (Telugu), shindilakodi (Tamil), amruthu or chittamruthu (Malayalam), amrutha balli (Kannada), bandaul pich (Khmer), rasakinda (Sinhala), boraphet (Thai), galoci (Pali), giloy or guruc or gurcha (Hindi), galac or garo (Gujarati), guluchi (Odia), and gurjo (Nepali), among other names. Giloy is indigenous to the tropical areas of Sri Lanka, Myanmar, and India. It grows in dry and deciduous forests. According to myth, when the ancient gods created the oceans, a nectar was created that would give immortality to whomever drank it. Such nectar was called ‘amrit,’ which means imperishable. In the 1918 U.S. Dispensatory, the plant is documented as having been used in India for medicinal purposes since ancient times. The herb’s watery extract is called Indian quinine. Research has indicated that the plant can treat dengue fever and malaria. 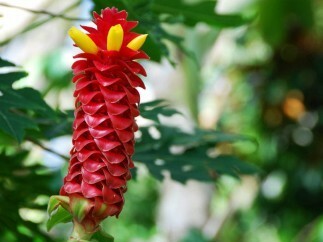 The root is also a potent antioxidant and is used in the prevention and treatment of disease. 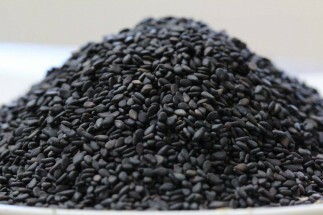 It also regulates cholesterol levels and has anti-aging properties. The guduchi parts normally used in medicine are the roots and stems. To a lesser extent, the leaves and fruit are used. The parts are processed until they become a powdery, starchy, and bitter extract. The plant consists of chemicals that include fatty acids, alkaloids, volatile oils, and glucosides, all of which make the plant beneficial to one’s health. Boosts immunity One of giloy’s most important health benefits is that it boosts immunity and acts as a rejuvenating agent. The herb has antioxidant properties that fight diseases. Aside from improving health, giloy also eliminates toxins from the liver and kidneys in order to get rid of free radicals. The herb even destroys disease-causing bacteria and also combats urinary tract infections and liver diseases. Boosts digestion The herb is useful for treating ailments linked to the digestive system. To do it, take about half a gram of the powdered herb extract with amla regularly. With buttermilk, the herb’s juice can also be taken to maximize results. Patients with piles can benefit from such a remedy. Giloy, in short, prevents indigestion and relaxes the mind. Guduchi acts as a hypoglycemic (sugar reducing) agent, which is useful for diabetics. Giloy can also help lower lipids and blood pressure levels, making it easy to treat type 2 blood disorders. To reduce high blood sugar, diabetics can take giloy juice. The respiratory condition can be dangerous, as it causes shortness of breath, chest tightness, wheezing, and coughing, among other symptoms. Guduchi & Giloycan help to manage asthma symptoms. To help treat eye disorders, giloy boosts visual clarity and helps one to see more clearly without eyeglasses. In certain parts of India, giloy is applied to the eyes. The herb can be boiled in water and the solution applied over the eyelid. In Ayurveda, giloy’s taste is astringent and bitter, and it balances all the tridoshas: kapha, vata, and pitta. It also has a heating energy and a heavy and unctuous quality. Taken with ghee, giloy reduces vata. With honey, it reduces kapha. 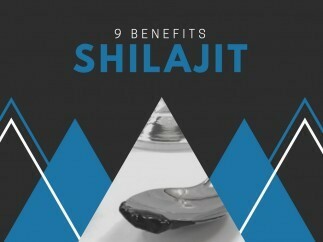 With sugar, it reduces pitta. In Ayurveda, Guduchi & Giloy is used to treat malaria, fever, convalescence from febrile diseases, hepatoxicity, hepatitis, hyperacidity, blood disorders, jaundice, tuberculosis, heart disease, gout, arthritis, hemorrhoids, and skin diseases, among other medical conditions. Nearly all modern treatises and ancient Ayurvedic texts have revered guduchi for its health benefits. In contemporary medical research, there is a wealth of scientific study and evaluation on the herb’s diverse pharmacological effects. As one of the more obscure herbs that isn’t commonly known even among homeopathic practicioners of herbalism, Guduchi & Giloy has undergone an impressive volume of research, clinical trials and scientific studies. Giloy seems to be undergoing a modern renaissance, as Western medicine starts to acknowledge the herb’s vast potential in both clinical and preventive medicine. Giloy is truly the medicinal nectar that is badly needed for today’s world. Tinospora cordifolia is also known as giloy or gurcha in Hindi. In Sanskrit, the plant is also known as guduchi or amrutha. This herb promotes longevity and youthfulness. It also improves complexion and skin luster as well as enhancing memory and improving overall health. The plant is a climbing glabrous shrub. The stem is succulent, covered by a papery bark, and has a grey to creamy white color. Aerial roots sprout from the shrub, which can grow long, up to thirty meters. The leaves are heart-shaped. The blossoms are axillary and the racemes have long stalks. The blossoms are yellow, which develop into pea-sized fruits. The fruits mature into red drupes. Guduchi or giloy is usually seen growing in India, particularly in dry deciduous forests. Practically all plant parts can be used for different medicinal purposes. The stem is the main part used for several health benefits. The leaves are traditionally used for treatment of various ailments affecting the liver. The essential oil extracted from the plant is commonly used for the treatment of skin diseases and gout, reducing edema and pain. The fresh juice from the plant is often mixed with rock candy. When taken in, it will help in recovery from hepatitis. The juice can also be mixed with cumin seeds. This mixture helps to lower pitta’s burning sensation. The juice may also be mixed with lodhra or cow’s milk. This mixture is good for curing leucorrhea. The plant starch is usually a household remedy for various common ailments. It improves appetite and energy levels. It relieves burning sensations and treats chronic fever. The root has a potent emetic property. 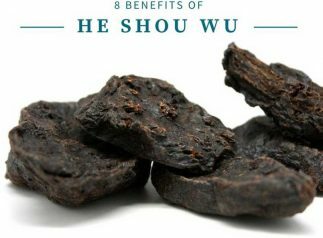 It can be used as a treatment for bowel obstructions. The decoction can be mixed with vasa and nimba, treating oozing and itching. This herb has many uses. Specific parts and forms will promote specific benefits. In general, Guduchi & Giloy affects the skin, blood, intestines, stomach, heart, and liver. 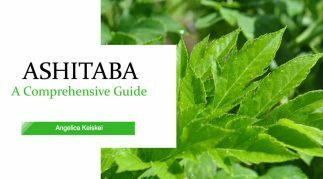 The major effect of this herb is on AMA. These are toxins that are produced in the body as a result of poor digestion and of malabsorption. Tinospora reduces AMA. This herb is especially helpful in curing or improving all conditions associated with AMA. Every body type and any disease can improve in the presence of Tinospora. It modulates the immune system and also acts as an adaptogenic, with rejuvenative actions. This herb diminishes the dhatu or dosha in order to bring balance to the body’s three doshas. It also helps in preventing all kinds of diseases. This herb can help in relieving all kinds of infections and fever. It fights both bacterial and viral infections affecting the body. For fever, giloy is not an anti-pyretic. It combats fever mainly by modulating the immune system. It helps the body to cure itself, targeting whatever is causing the fever. It also shortens the duration of fever and infections. Guduchi & Giloy is also the herb of choice for the relief of gout and in lowering the levels of uric acid. It acts on the AMA toxins that promote a rise in uric acid. It also improves metabolic processes. We personally recommend the Guduchi Himilaya brand and have posted a couple of links in the article. Our experience has shown this to be the best overall organic quality and value, leading to the best health benefits at the best price.